President Obama will give his eighth and final State of the Union address Tuesday before Congress and the nation, and it could deviate from the norm. The White House said the 2016 State of the Union will be "non-traditional" in a press briefing last month, explaining that the president will throw out the expected list of policy proposals to talk about the larger problems plaguing the U.S. If that does happen, this year's State of the Union will be very different than President Obama's previous seven. Because this will be the president's last year in office, the altered approach makes sense — he doesn't have enough time to start and finish new legislation before the next person takes over, especially while battling a conservative Congress. A year might seem like a long time, but things in Washington unavoidably happen at a snail's pace. So, it's more realistic for President Obama to discuss what he sees as America's biggest challenges rather than listing specific goals he hopes to achieve in 2016. Bypassing the tedious task of proposing numerous legislative initiatives will also give him more freedom to speak his mind and directly address Americans watching from home about the state of the country, attempting to get the public behind the actions he already has in the works. President Obama's policy proposals in past State of the Union speeches were directly linked to the problems he most urgently wanted to address, but skipping that step will allow him to talk about much broader issues that a single piece of legislation won't fix. For example, in his 2015 address, President Obama called on Congress to raise the minimum wage, make the first two years of community college free, reduce student loan payments, pass infrastructure plans to create jobs, and expand and improve child care programs. Everything on his to-do list targeted a specific issue; however, it seems this year he wants to be less specific. When the White House announced that this year's address would be less conventional, it also explained that President Obama's agenda for 2016 would include securing the Trans-Pacific Partnership trade agreement, combating climate change, and reducing gun violence nationwide (which he already began with an executive order to strengthen gun control issued last Tuesday). President Obama will likely urge Congress to approve the Trans-Pacific Partnership in the coming year, while his less rigid speech tactics will give him the opportunity to raise concerns and possible solutions about climate change and gun control on a much larger scale. If you tune into the address, expect to hear less specifics about legislation, and more of a call to arms about overarching issues and President Obama's initiatives that remain unfinished, including closing the Guantanamo Bay detention camp. 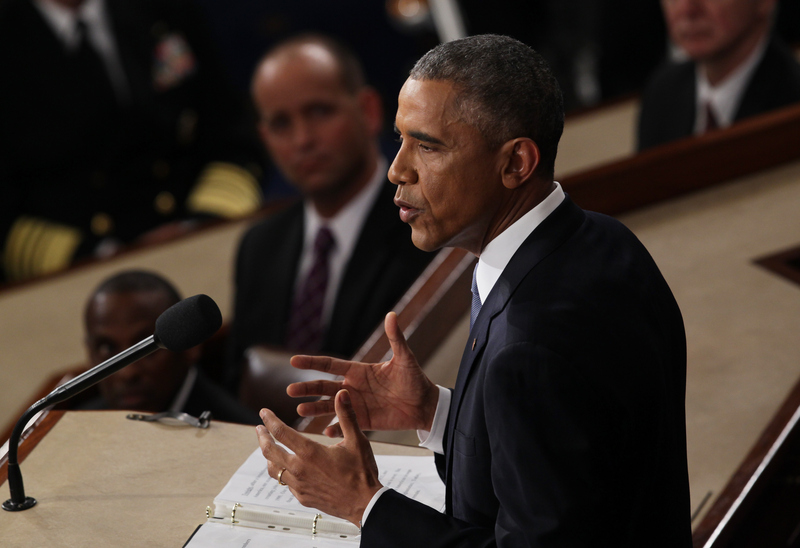 The State of the Union speech will take place Jan. 12 at 9 p.m. Eastern Time.